A diamond certificate is issued following an unbiased and professional examination to authenticate a diamond’s attributes. The carat weight, color, and clarity are all validated – together with the diamond’s exact measurements. Cut grades are also included for Round Brilliant cuts. Certificates are essential in determining or testifying a diamond’s value. 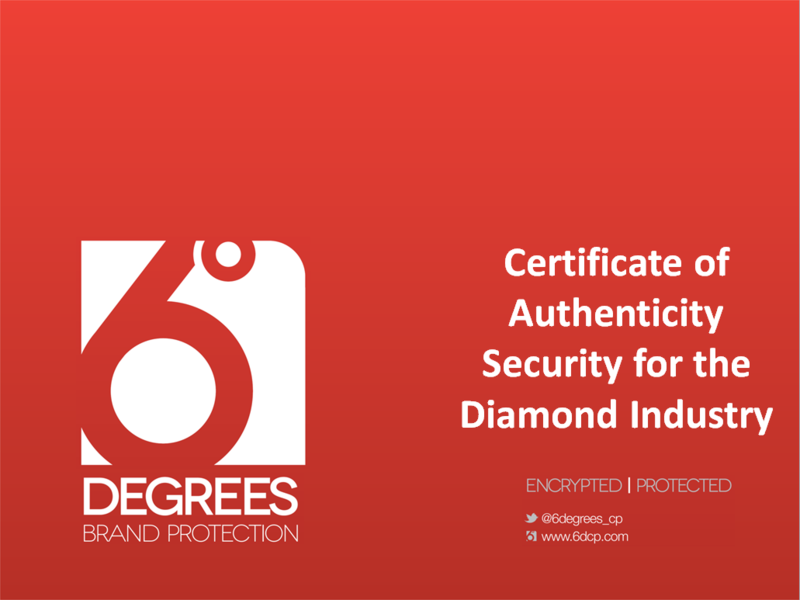 6DCP can embed the entire certificate – fully encrypted – onto the girdle of the diamond itself.